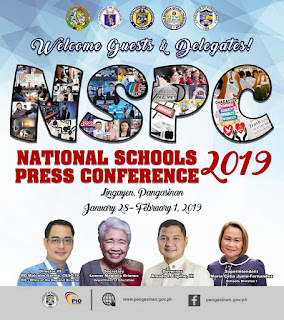 Four schools from the Bicol region garnered four awards under the Best School Paper Category in this year's National Schools Press Conference in Lingayen, Pangasinan. The National Schools Press Conference is held every year pursuant to Republic Act 7079 or the Campus Journalism Act of 1991. This year's theme is "Fostering 21st Century Skills and Character-Based Education Through Campus Journalism." It is slated from January 28 to February 1, 2019.